On the 17th September 2017 we had two teams travel down South to compete in the Adrian Stan Team Championships 2017. Our Senior team consisted of Leah Rockett, Harriet Gibson, Charlotte Moralee, Ellie Potts and Isobel Gosling. Although a very young team competing in the senior competition, they had a good run out, picking up lots of experience on the way and finishing in a credible 11th place. 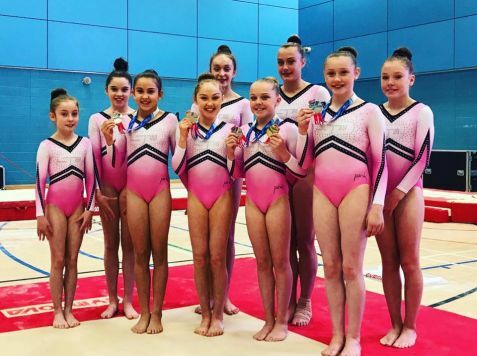 Our Junior Squad team, which consisted of Mia Scott, Leah Greenland, Mercedes Moore and Lydia Collins, had an outstanding competition and finished in a fantastic 2nd place!! 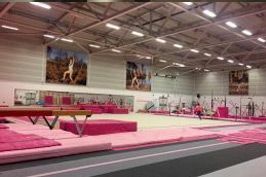 The girls did themselves and the club proud, showing gorgeous routines on all four pieces of apparatus. Leah Greenland also deserves a special mention as she won the Espoir National title! Huge well done to this little superstar!